Miso Milk Basil Butter Ramen? Heck Yes. 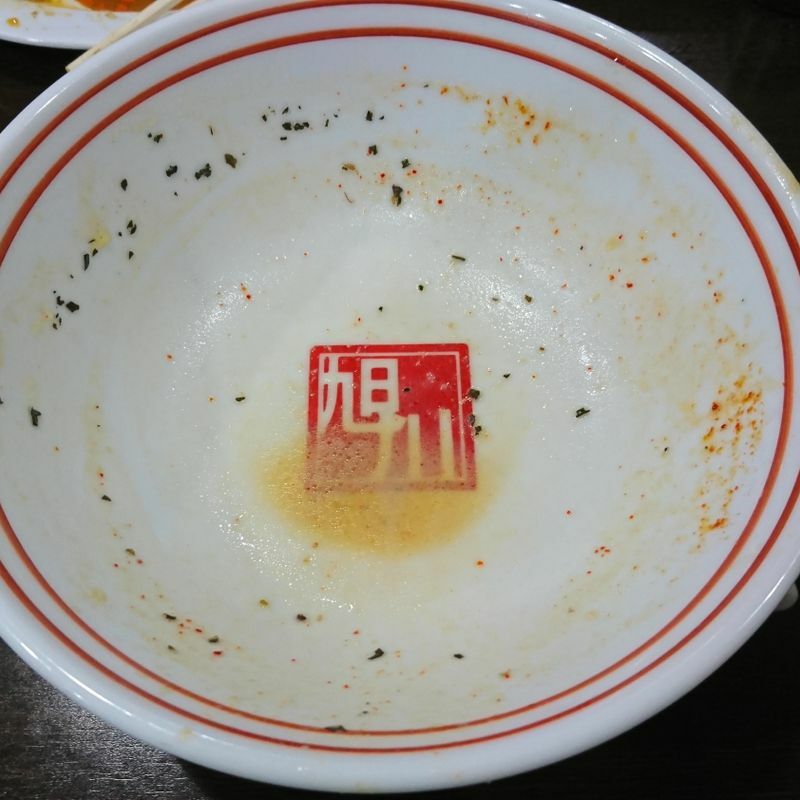 One day my friends and I drove past a ramen shop in Seki, Gifu Prefecture. The outside has a board with a black and white cow pattern with their name Asahigawa Ramen on it, and it said "milk ramen." We went, "What??!?" and decided to try it on our way back. 3 years later, it is now one of my favourite shops and I love bringing my friends there because they are always so shocked. "Milk, you mean, like the milk we drink? ", and they always end up impressed. 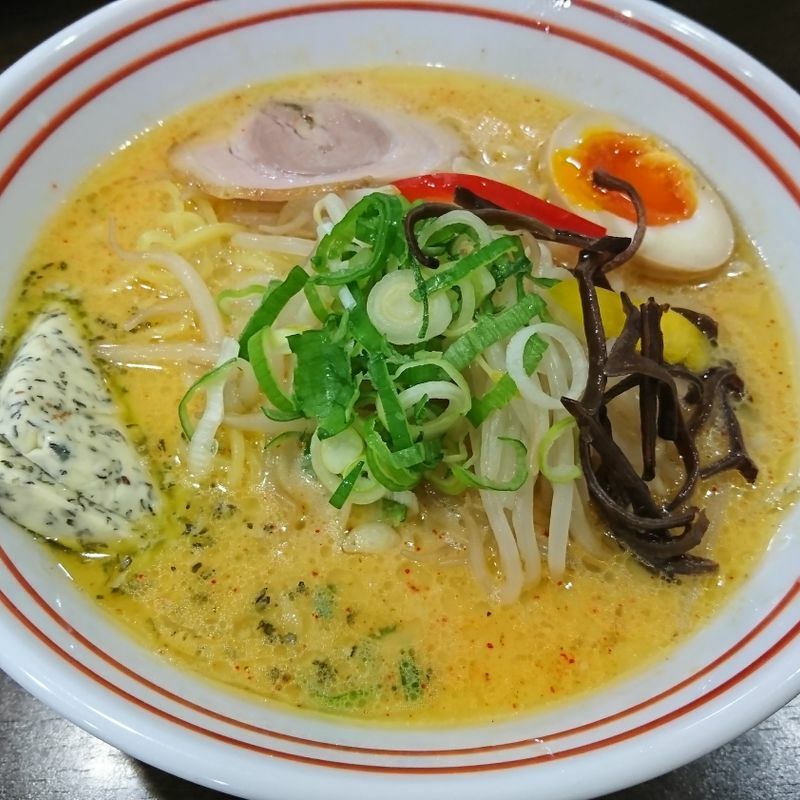 The shop's specialty is the miso milk ramen. Personally, I'm not a big fan of miso ramen, but here, the two ingredients match and balance each other perfectly. The miso doesn't get too sweet, and the milk adds the richness that I really love. But to make it even more unique, they have a "miso milk basil ramen" where they just toss in a generous chunk of basil butter (which I believe to be homemade), and when the block melts into the rest of your bowl and gives it the herb flavour, you start to question the culture in the bowl, but you would have no doubt about the fact that it is absolutely delicious. Their gyouza are great too, as they buy them from a famous local shop, but what surprised us even more is the karaage. 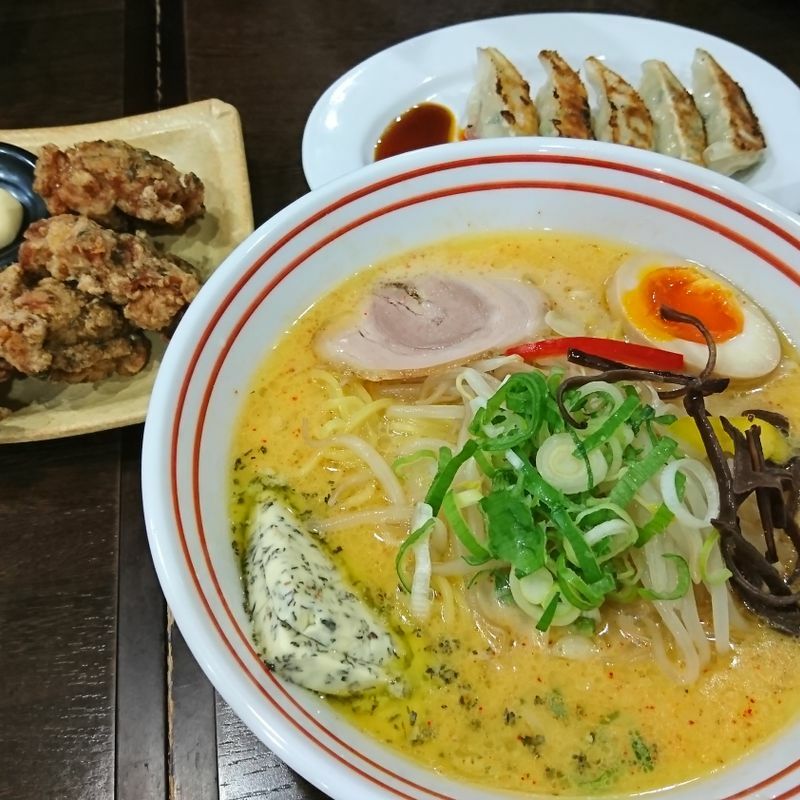 Their freshly fried chicken is marinated with flavourful herbs, giving it an amazing and refreshing flavour that goes surprisingly well with the sweet-ish miso ramen. My friends were impressed by the noodles, and their jaws dropped when they tried the chicken. The shop, unfortunately, is in the middle of nowhere for most people, and it is a family business rather than a chain. However, as milk and miso are both specialities of Hokkaido, and Asahigawa being a place in Hokkaido, I'm sure you can find something similar if you travel north.